The political wrangling apparently ended Thursday when the House and the Senate reached a deal on the payroll tax cut extension -- an agreement welcomed by President Obama. But before Republicans and Democrats can breathe a complete sigh of relief, there remains one more hurdle. On Friday morning, the House members will vote to approve the deal. As CBS News correspondent Nancy Cordes reported, GOP House Speaker John Boehner would like the agreement to pass through the process of unanimous consent, so that the members would not have to come back to Washington. "But every single one of them would have to sign off on it," she told CBS Evening News anchor Scott Pelley. "That's a tall order, because there are many House Republicans [Thursday] evening who, as you can imagine, are very angry, who feel they cave too quickly. If any one of them objects they'll have to come back [to Washington] and vote next week." 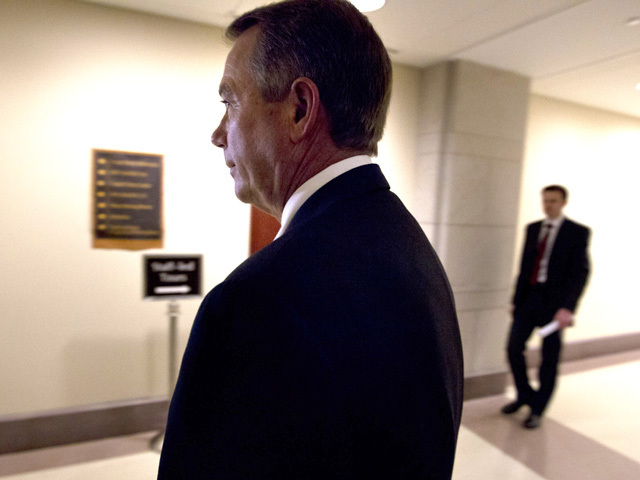 The New York Times also reported Boehner saying at a news conference Thursday hat if the House does not agree to the deal through the unanimous consent process, that he would "absolutely" bring the House members into session next week. As Cordes reported, House GOP leaders had no choice to relent after being abandoned by their Republican colleagues in the Senate and criticized by Democrats.